@LufcConnor_. Seeing a few reports that Leeds could sell Kemar Roofe in January for the right offer, I hope that isn’t true we should be offering him a new deal and giving him the money he wants. #lufc #mot. @1amcc. Normally I would have my fingers and toes crossed hoping the #LUFC hierarchy were out pushing hard to recruit, now jobless, serial promotion winner, Jokanovic. However, with MB in charge and playing great football I have confidence we are on track for a successful season. @LeedsUtdRyan. 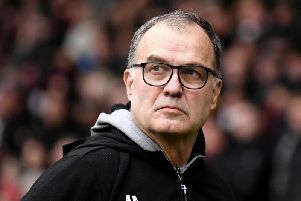 Just makes you wonder where Leeds would be if we had Marcelo Bielsa in charge before now. #lufc #mot. @xRyanMOT. PL teams should receive more than us, that I understand (prize of being in the Elite). However there needs to be a fairer distribution of the money. (Ie - Each Championship team receives £3m for 5 televised games – if Sky want to show more than 5. They pay X% per extra game). #lufc. @joemewis. It’s 20 years since Alan Smith made his #LUFC debut. Should he go down as a Leeds legend or did his move away scupper that? @LufcConnor_. Hope Leeds can keep Kemar Roofe in January.. #lufc #mot.